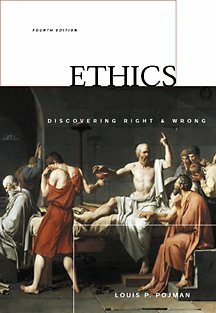 Concise yet comprehensive, this text surveys the realm of ethical theory and includes many examples from classical and contemporary sources. Written in an interesting and conversational manner, DISCOVERING RIGHT AND WRONG challenges students to develop their own moral theories and to solve various problems for themselves. at the United States Military Academy at West Point. He most recently was Visiting Professor at Brigham Young University in Utah and Visiting Fellow at Clare Hall, Oxford University. Pojman won several research and teaching awards, including the Burlington Northern Award for Outstanding Teaching and Scholarship (1988) and the Outstanding Scholar/Teacher in the Humanities at the University of Mississippi (1994). He wrote in the areas of philosophy of religion, epistemology, ethics, and political philosophy and authored or edited more than 30 books and 100 articles. Pojman passed away in 2005.